Cadillac just told us the new CT6 plug-in hybrid will be available this spring for the low, low price of $75,095. (that’s not really low). Let’s have a closer look at that hybrid system. 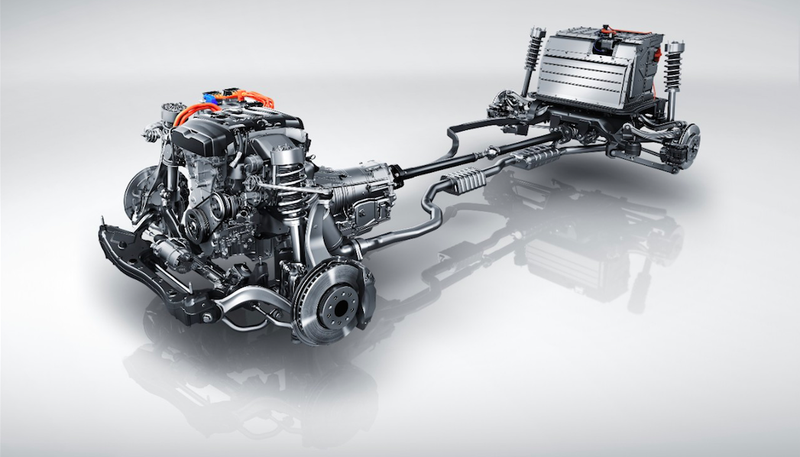 The CT6 plug-in hybrid, which actually debuted at last year’s L.A. Auto Show, mates a 2.0-liter turbocharged inline-four with two 100 horsepower electric motors, which both sit axially in what Cadillac calls an “electric variable transmission.” The system sends a combined 335 horsepower and 432 lb-ft of torque to the rear wheels. The CT6 plug-in promises 65 MPGe, 30 miles of pure-electric range at speeds up to 78 MPH, 0-60 MPH in 5.2 seconds, and 400 miles of total driving range. The lithium-ion battery pack, which is “structurally integrated into the vehicle to maximize body stiffness” and consists of 192 prismatic pouch cells, has a capacity of 18.4 kWh, and sits directly above the rear axle. The cells can be charged with either 120V or 240V, and filling it up takes approximately five hours, Cadillac says. Keeping those cells cool is what GM calls “active thermal control system,” which is similar to what is used in the Volt, sending refrigerant-cooled coolant through battery modules to keep temperatures down even in piping hot Arizona heat. Cadillac probably doesn’t want us to mention the ELR, their last failed very expensive hybrid. This is really nothing like a Cadillac ELR, but Cadillac doesn’t really want anyone to talk about the Cadillac ELR, so we will.